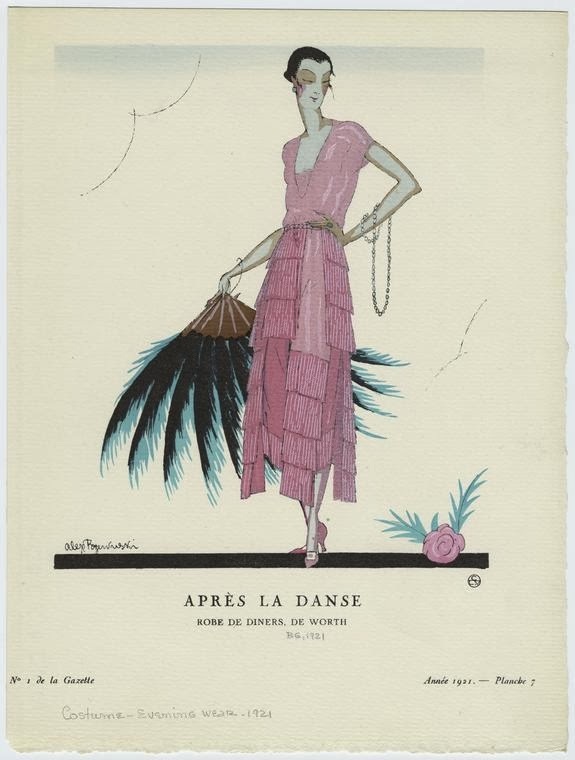 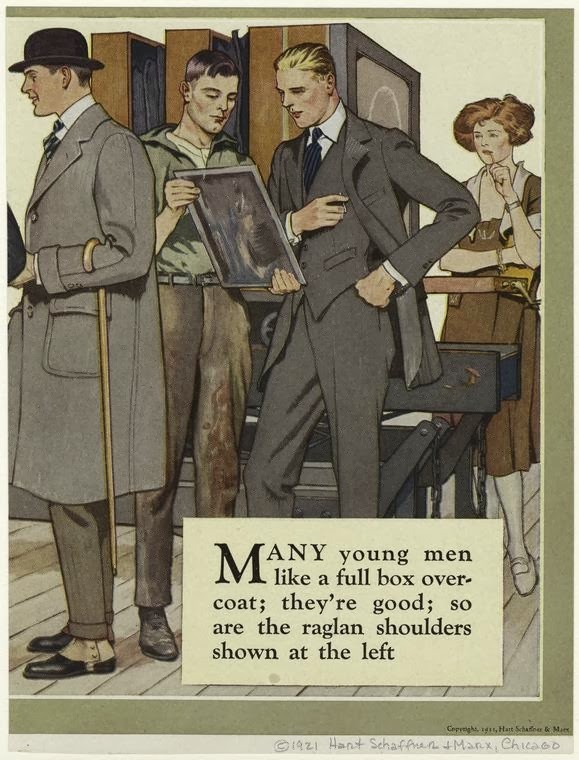 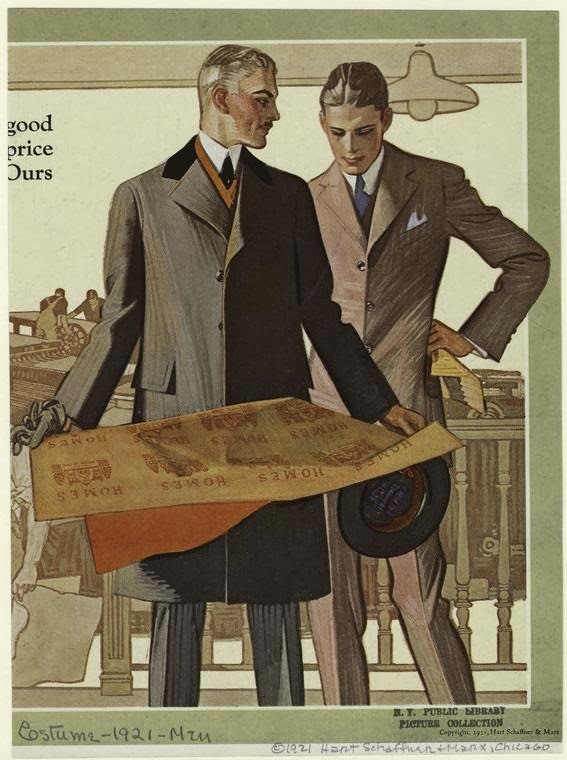 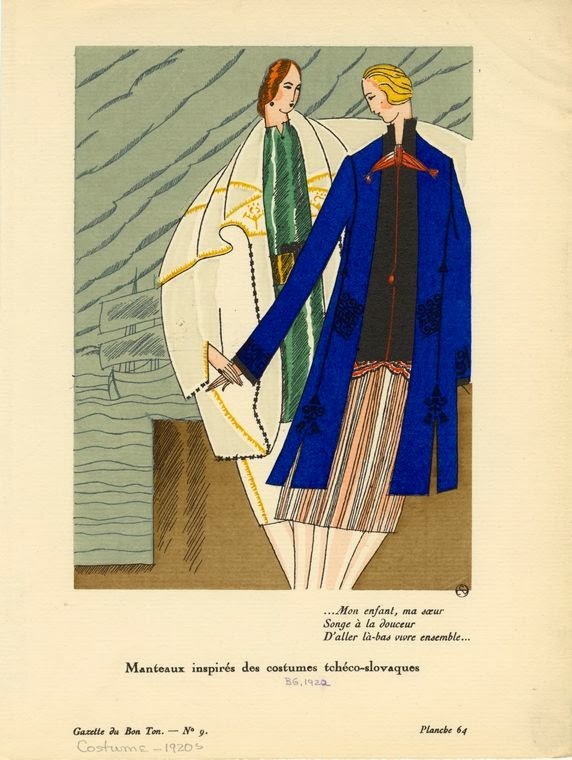 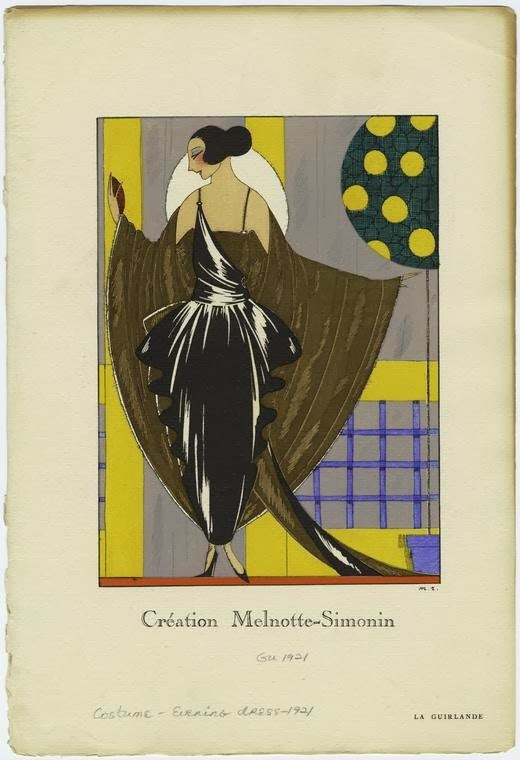 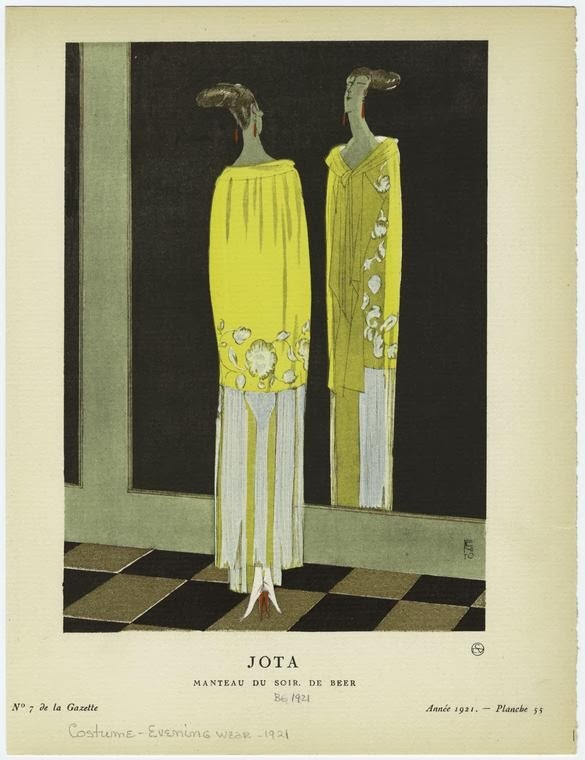 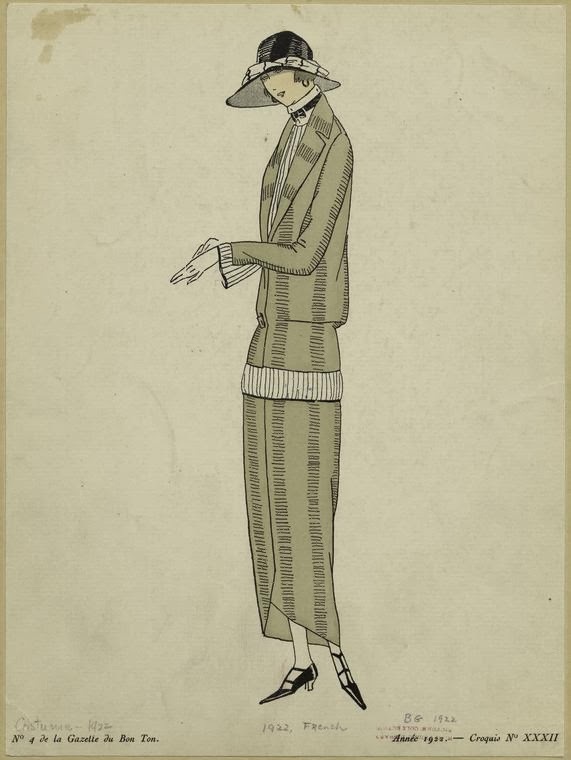 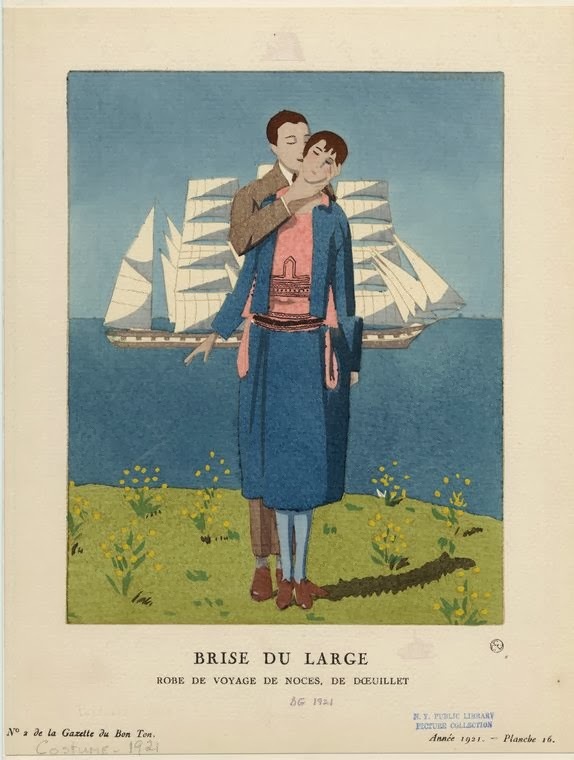 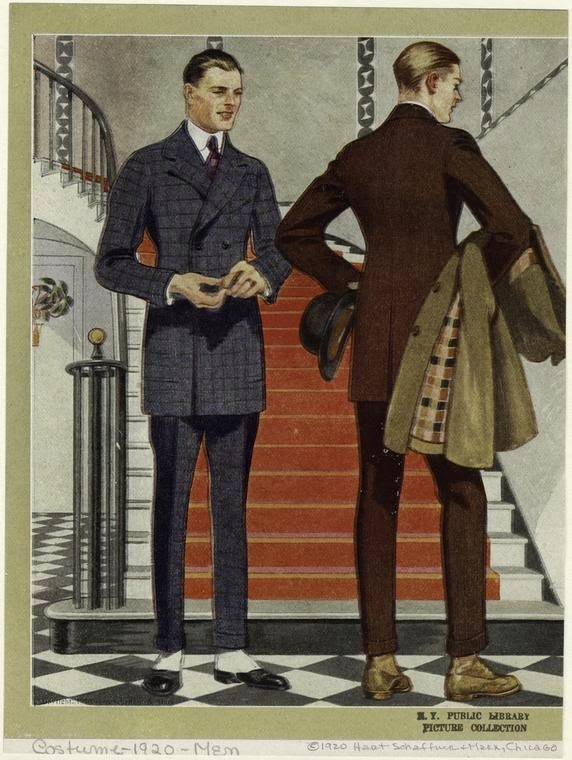 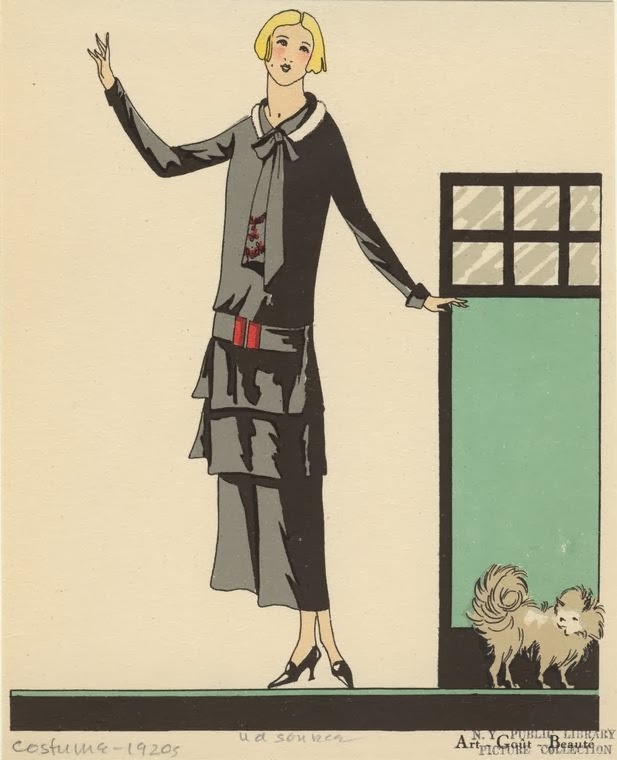 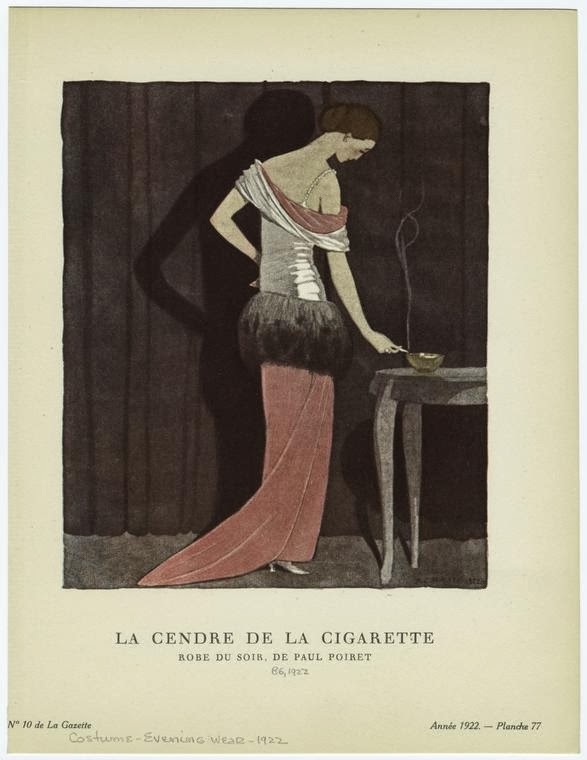 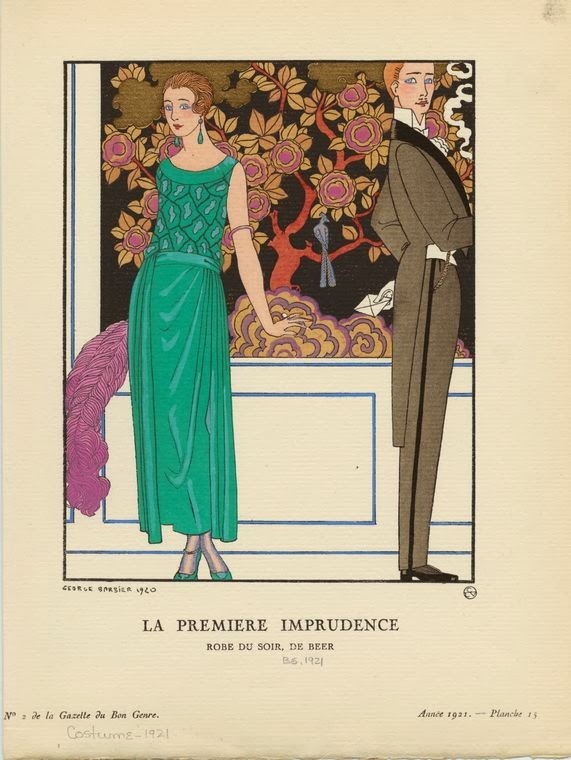 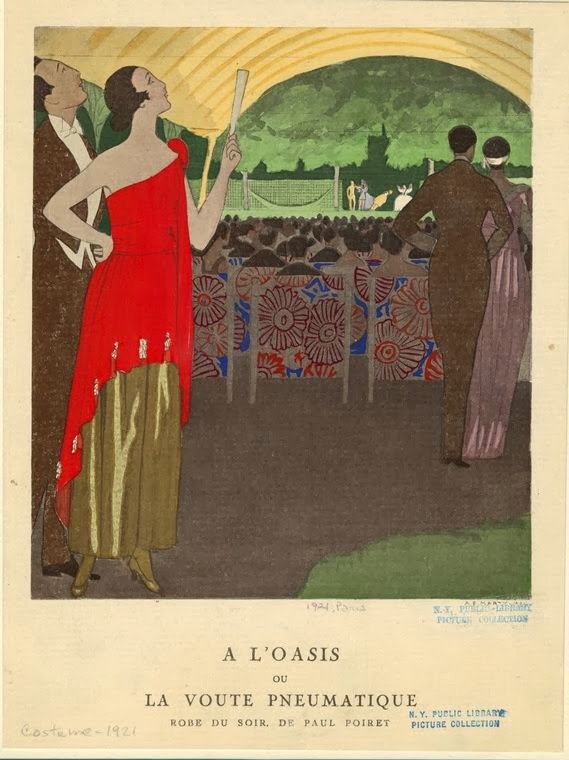 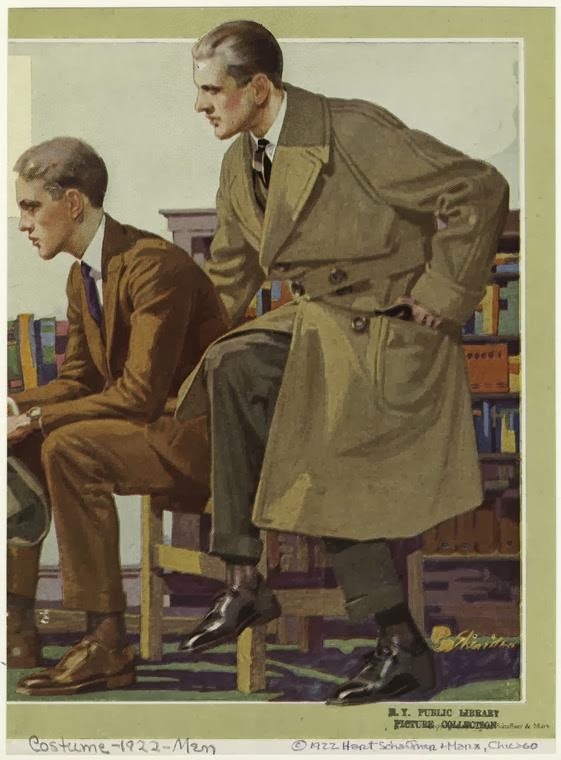 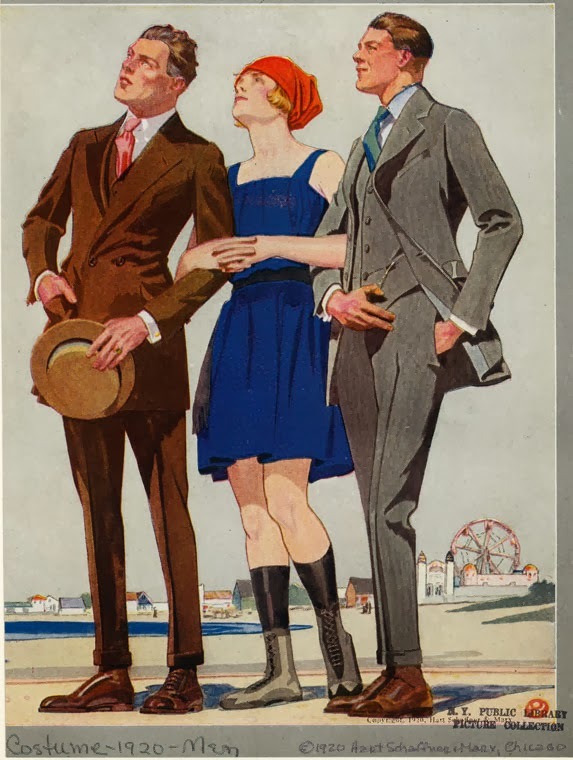 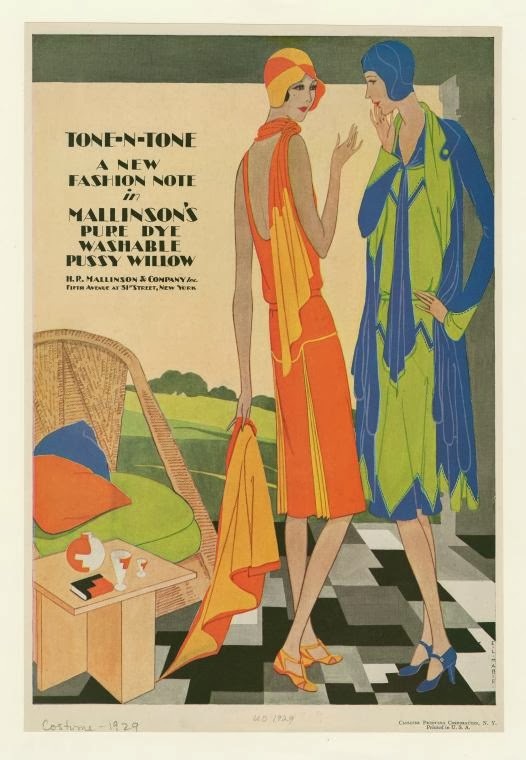 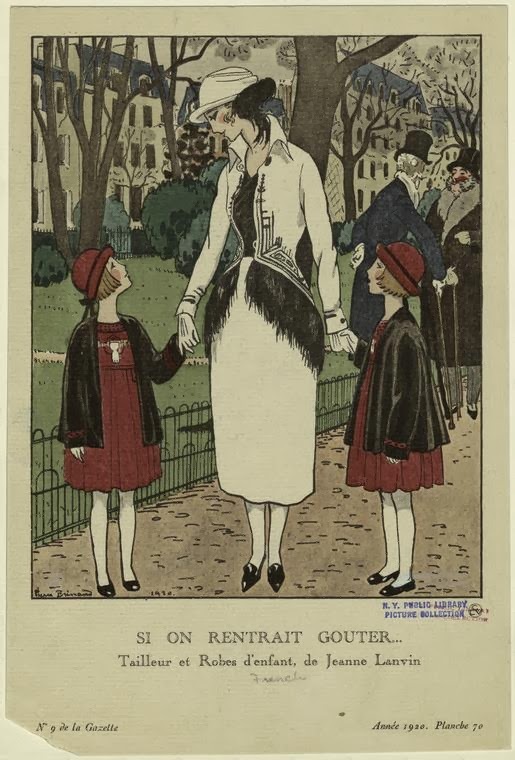 The look of fashion drawings from the 1920s is perhaps more stylized than that of any other decade-- the elongated, impossibly slender women and the boldy simple patterns (though it is interesting to note the men often don't receive the same treatment). 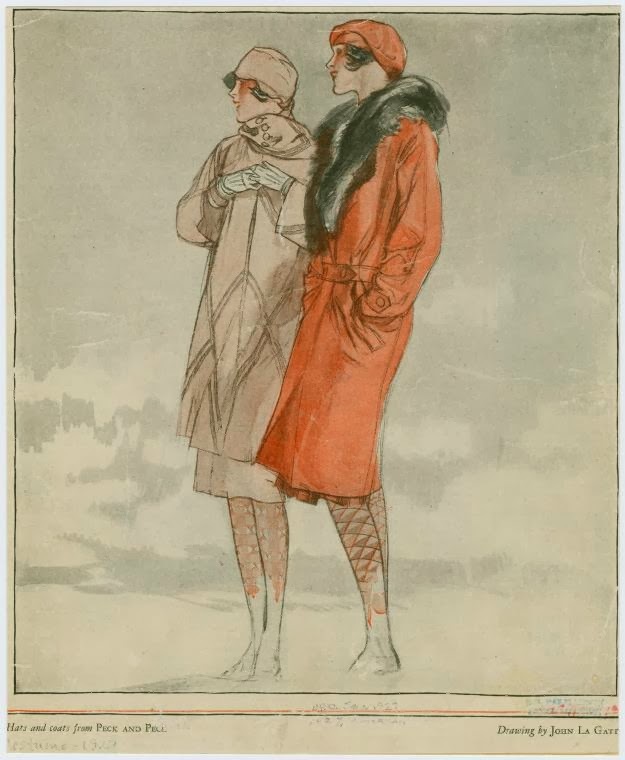 These kinds of drawings can be seen from Vogue covers to mail-order catalogues. 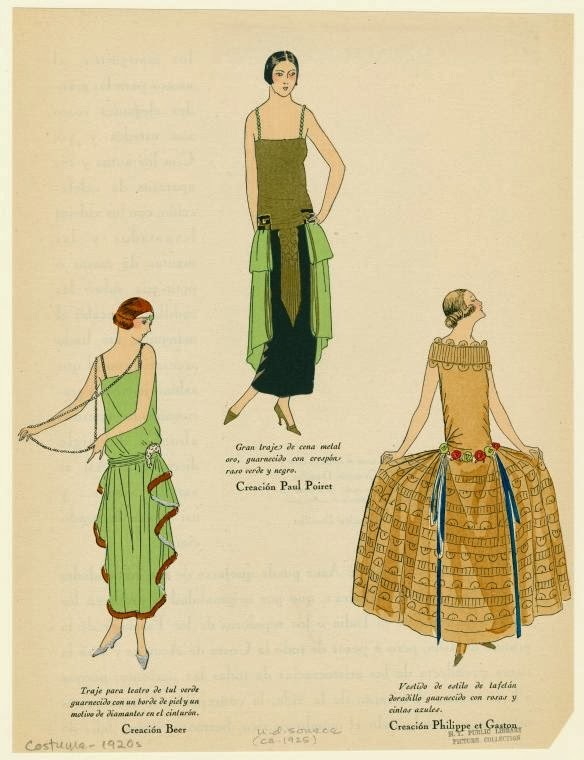 I think they are terrific-- though it sometimes must have been disappointing to see the geometric lines disappear with a real dress on a real woman! 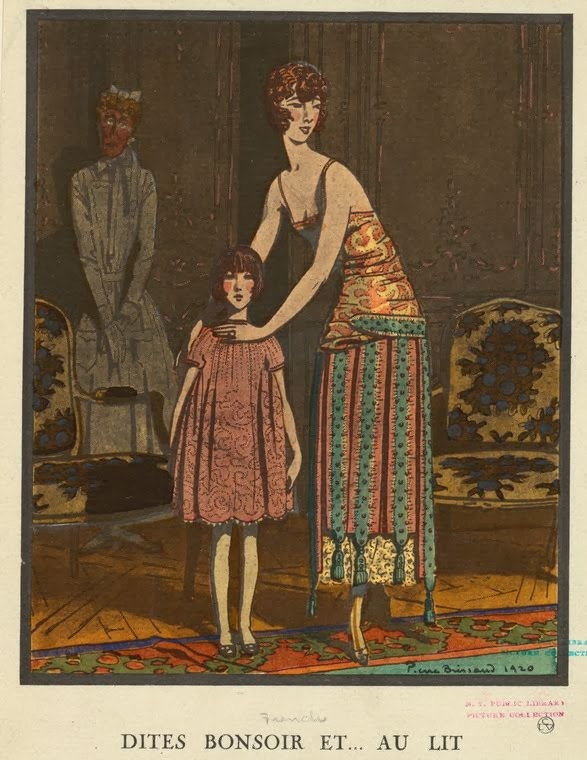 From the Picture Collection of the New York Public Library.